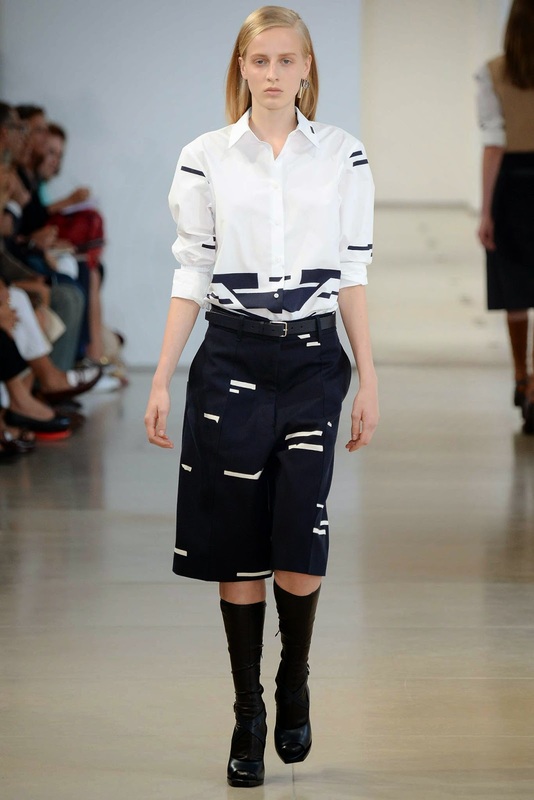 Dutch newcomer Anine Van Velzen was one of the standout newcomers to emerge during the Spring/Summer 2015 show season. The nineteen year old golden haired beauty was an impeccable vision as she blazed a trail through eighteen blue chip bookings for a diverse array of clients including Jil Sander, Versace, Alexander McQueen, Balenciaga, Acne, and J.W. Anderson. Van Velzen's unique blend of cool androgyny and romantic beauty had eagle-eyed model watchers spellbound from the word go. Scouted at age fourteen, Van Velzen put modelling ambitions on hold for two years before signing with Paparazzi Models in her native Amsterdam. Van Velzen modelled part-time locally while completing her high school education and was propelled onto the international modelling circuit at the Spring/Summer 2015 collections with the backing of modelling powerhouse agency IMG Models. 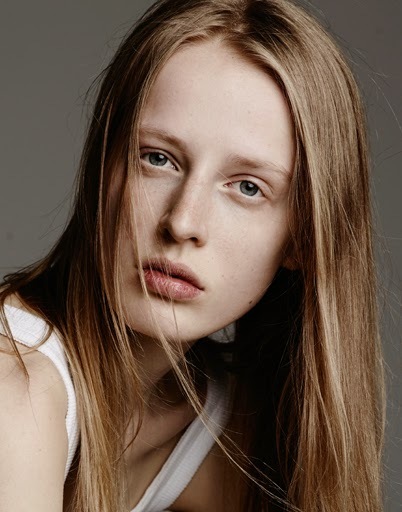 Amidst the steady flow of impossibly beautiful faces spiriting down fashion's runways, it is Van Velzen's alluring juxtaposition of tomboyish aloofness and delicate refined beauty which has kept her omnipresent in the minds of casting directors and designers in the post-Fashion Week aftermath. Editorial appearances for L'Officiel Netherlands, i-D Vice, Metal, and Modern Matter not to mention lucrative bookings for Lanvin Instinct and Christopher Kane and Jacquemus Pre-Fall Look Books are an indication of the momentum and buzz surrounding this versatile newcomer. In the lead up to the Fall/Winter 2015 season, Van Velzen chatted exclusively to IMA about her whirlwind Spring/Summer 2015 debut, her definition of a "Model as Muse", those inevitable comparisons to top model Julia Nobis, and the photo opportunity face-off that had her resolutely standing her ground. 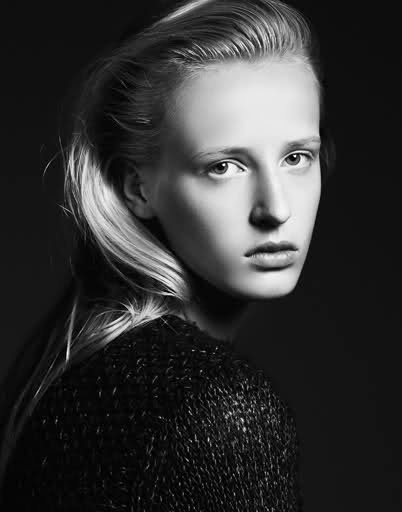 Inoubliable Model Army (IMA): Hi Anine, thank you for chatting with IMA. Congrats on a sensational Spring/Summer 2015 debut. What were your expectations heading into Fashion Week and has the enormity of your S/S 2015 achievements sunken in yet? Anine Van Velzen (AVV): Thank you so much! When I started in London, I didn't know what to expect. Mo (my agent in Amsterdam) told me I was on option for an exclusive and that a lot of people were asking about me. I started modelling full-time with Fashion Week so that was a little crazy. I was like "what is happening to me?". During Fashion Week, my achievements didn't fully register because it all went really fast but now I realise that I had such a great first season and I'm so happy about that! IMA: As a relative newcomer to the industry, would you mind sharing your backstory with IMA's readers? AVV: Well, my name is Anine Van Velzen and I'm nineteen years old. I was born and raised in Amsterdam where I'm still based. I got scouted a couple of times by different agencies when I was fourteen but I was way too young. When I turned sixteen, I sent photos of myself to Paparazzi Model Management in Amsterdam and a couple of days later I was on their website. Initially I did a couple of shoots but I had to focus on finishing high school first. Since July, I've began modelling full-time with Fashion Week. IMA: Industry insiders have compared your looks to catwalk queen Julia Nobis and British Vogue hailed you as the next 'Doutzen Kroes'! How are you coping with the ensuing media frenzy and interest following your breakthrough success, and what was the initial reaction from friends and family when you returned home? AVV: I was really surprised that there were a lot of people who noticed me. I take it as a big compliment if people compare me to Julia Nobis, I've met her during the shows and she rocks! My family and friends are so happy for me and they're proud. I received so many nice messages from them during and after Fashion Week. IMA: Your Spring/Summer 2015 season began officially at J.W. Anderson in London prior to a deluge of pristine bookings for Christopher Kane, Giles, Jil Sander, Fendi Versace, Bottega Veneta, Balenciaga, Dires Van Noten, and Alexander McQueen. Did it all feel like one massive blur or were there any significant moments where you realised that you were officially killing it this season? AVV: It all went really so fast I just didn't even realise I was having such a great season until I returned home and my agent Mo reinforced this point. It's really a dream come true. IMA: Fashion Week is a real test of physical and mental endurance especially dealing with jet lag, endless castings, round the clock fittings and early call times. What was the most challenging part of Fashion Week for you and what advice would you offer to newcomers making their debut? AVV: The most challenging part of Fashion Week were the last couple of days in Paris. I had a fever and migraine, that's not a great combination and the fact that I had to continue on with the crazy early call times and endless fittings was a big test for me. My advice to all newcomers would be that you don't have to think too much, just go with the flow, and see what happens and to enjoy every moment. IMA: This season there seemed to be more newcomers than ever in attendance at show castings. What do you feel are the most important attributes for standing out from the masses during the casting process and do you get a general feeling when a casting has gone particularly well? AVV: First of all I think personality plays a big role during the casting process. Of course , they look to see if you fit in with the overall collection but that's not everything. I really like to have fun during all the castings and just try to enjoy every moment. You know a casting has gone well if you feel comfortable and you've shown everything you've got. If you will be picked though is another thing. IMA: In terms of casting trends, Dutch girls are everywhere with yourself, Julia Bergshoeff, Imaan Hammam, Maartje Verhoef, Julie Hoomans, and Rianne Von Rompaey leading the charge. Did you get a buzz out of seeing so many Dutchies backstage and at castings, and who did you form close bonds with this season? AVV: It was very nice to have so many Dutch girls around me throughout Fashion Week. I spent a lot of time with Julia, Maartje and Julie during the shows. It was so much fun! IMA: Models nowadays are encouraged to develop their own brand through the use of social media and by showcasing their personality, interests, and talents which add to their overall allure. Are you active on social media and what are the passions that you hope will be a source of interest and inspiration in the public eye? AVV: I use Instagram quite a lot (Instagram: aninevanvelzen) and I post photos about the outfits I'm wearing and what I like. Basically I post about fashion, music, and some work. I like to show people who I am and Instagram really works for that. IMA: 2014 has seen models reclaiming their place on the covers of magazines and in campaigns. Do you feel that this trend will continue and out of the current generation of top models, who do you most admire? AVV: Hopefully this trend will continue so that there are more opportunities for new faces to do big campaigns. I admire Kate Moss especially in her younger years. IMA: What is your definition of a "Model as Muse" and are there any key industry figures that you would love to play muse to? AVV: I would love to be a muse to Karl Lagerfeld, just like supermodel Saskia de Brauw. For me the definition of a "Model as Muse" is a model who is a source of artistic inspiration. IMA: Since the Spring/Summer 2015 season wrapped, you've shot for H&M as well as appearing in editorials for i-D Vice, L'Officiel Homme Netherlands, Metal, and Modern Matter. Do you have a preference between runway and print modelling, and what would be your dream modelling assignment? AVV: I've shot a lot of great things since Fashion Week, both editorial and film and that's something I really like. But I enjoy doing shows the most. It really feels as though it's your moment to shine. My dream for now is to do a lot of campaigns! 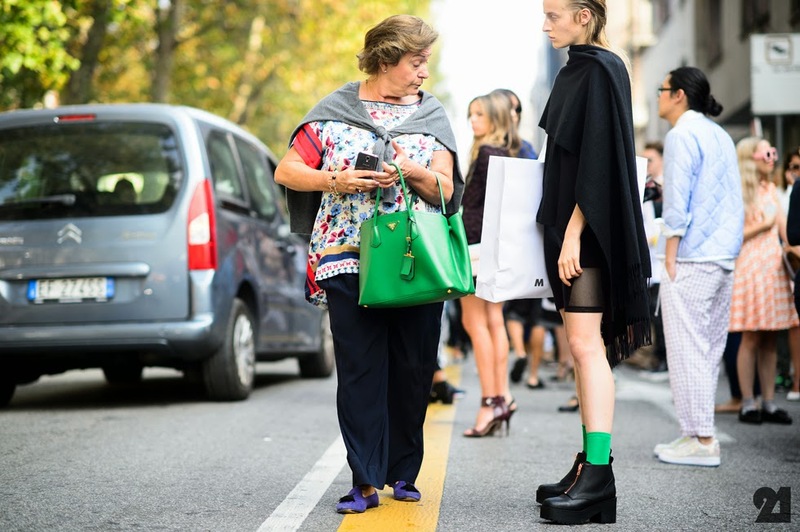 IMA: During Milan Fashion Week you were captured by street-style photographer Adam Katz Sinding following the Marni show, in what appeared to be a style face-off with a woman who was scrutinising your boots paired with green socks. Tell us how that photo opportunity came about? AVV: Hahaha, that was so funny. I'm so happy Adam took a photo of that moment. After the Marni show, I was waiting for my driver and I got a gift from Marni which was in a huge Marni bag. That woman came up to me and looked in the bag to see what was inside and then looked back at me as if I didn't deserve it. And I looked at her like "what are you doing??". IMA: Speaking of street-style, how would you define yours and what are your current wardrobe essentials? AVV: I would describe my own style as sporty but in a classy way with a lot of leather and black and white. My current wardrobe essential is a cozy over-sized turtleneck sweater. It keeps me warm on cold days and is an eye-catcher. IMA: You are represented by IMG Models Worldwide and your mother agency Paparazzi Models. What do you value most about your agencies and relationships with your agents? AVV: Mo had told me that if it all worked out we would try to keep me a little exclusive, and I was happy with that approach because it was my first season and everything was new to me. I booked almost twenty great shows and I'm very happy with my mother agency and IMG, they're all very kind and caring. AVV: I think being myself is the only thing I can do. I hope I can inspire others.